No higher than the heal of your hand, generally 2-4 inches. 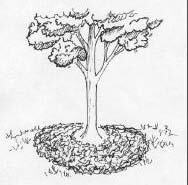 If using finely textured or double shredded mulch, use 1-2 inches because these materials allow less oxygen to the root zone. 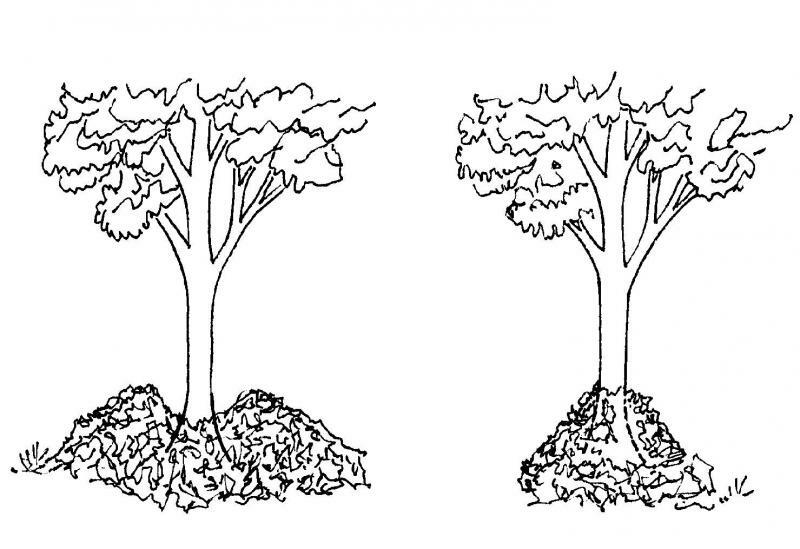 Not against the trunk – keep all mulch 3-4 inches away from the trunk of the tree or shrub, allowing the root flare zone to show just above ground level. To the tree’s drip line if possible. Remember that the drip line moves out as the tree grows.